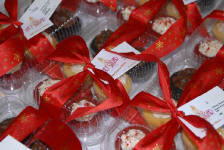 Cupcakes make a great gift for your friends or clients. Everyone will call you thanking you for the amazing cupcakes. 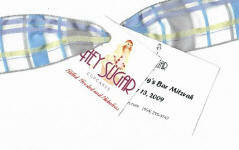 We have a wide variety of holiday gift to offer. If you don't see exactly what your looking for please email or call. We ship WORLDWIDE. And have done so over 500 times with perfect results! 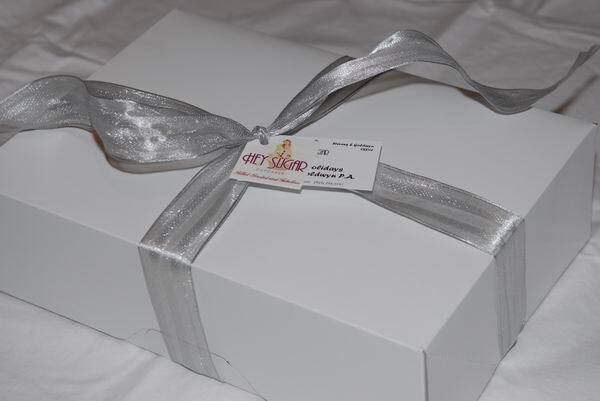 The cupcakes are shipped frozen with dry ice, gel packs and a cooler box. They will arrive perfect and ready for you to enjoy. 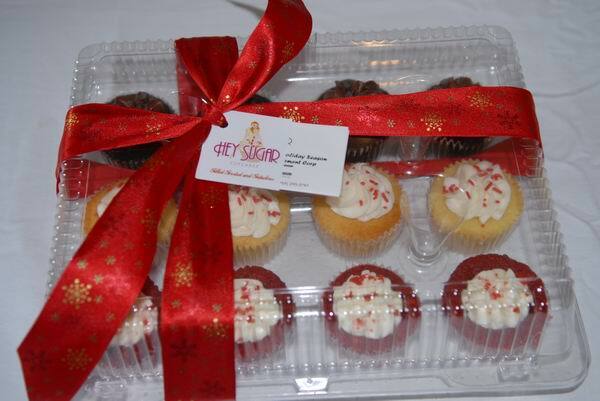 Shipped cupcakes are priced as follows. Take the price of the cupcakes, lets say a 12pk for $42. Add $10 for the cooler box. Add another $15 to ship to a Florida address. Shipping to other parts of the country will cost $50 to $70, based on the actual UPS charge. 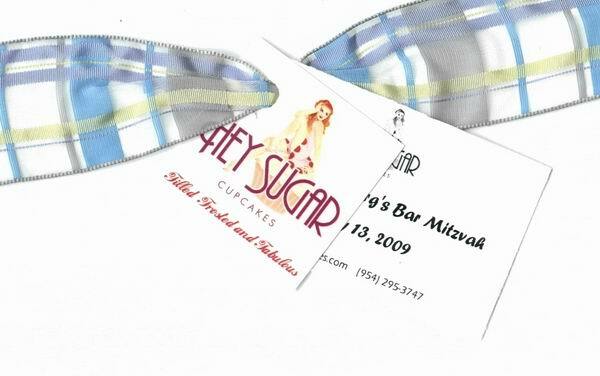 Small gifts are perfect for your coworkers, teachers or friends. Prices start at $4.50ea. 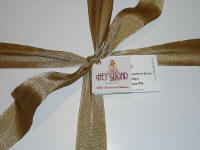 *Pricing includes ribbon, note card and candy canes (upon request). Delivery to each of your individual friends is not included in this price. That's your job! 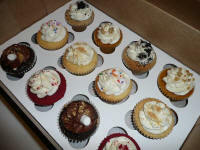 Pricing for delivered cupcakes is at the top of this page. Please respect that we have a lot of business during the holidays. If your placing just 1 or 2 orders you can call or email. But if your ordering for delivery to several addresses PLEASE EMAIL A SPREADSHEET. Don't be lazy. An admin fee of $20 may apply if we need to kill an hour of our time re-typing an email/word/pdf into a spreadsheet.